If you survive cancer at young age, then you have a higher risk of becoming unemployed and economically dependent than others, a Norwegian study shows. 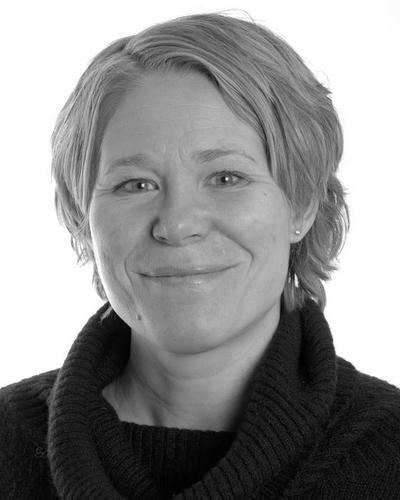 Maria Winther Gunnes Credit: University of Bergen. Children, adolescents and young adults that have survived cancer have a higher risk of becoming unemployed and needing governmental financial assistance. This is the result of a study carried out at the Department of Global Public Health and Primary Care, at the University of Bergen. * have a 40 per cent higher risk of becoming unemployed, than others. * and that female survivors are more vulnerable than men regarding economic independency. Gunnes has mapped how many of the Norwegians born between 1965 and 1985 got a cancer diagnosis before the age of 25. She then studied how these performed economically and in working life , compared to the others who did not receive a cancer diagnosis. She collected data in large Norwegian national registers like NAV, Statistics Norway (SSB),and The Norwegian Tax Administration and The Cancer Registry of Norway. “As a paediatric oncologist, I am interested in how the young survivors are doing,” says Gunnes. Gunnes believes that the reason behind the experience of struggle, is because of rough cancer treatment including radiation and chemotherapy, which may can be devastating for young bodies and brains under development. For young adults, the reason may be that they need a long break from education and work, just when they have started. It can be hard to catch up with your peers after such a break. “We need more follow-up in terms of career planning and work rehabilitation programs to help the survivors enter the job market. In the study, we saw that the cancer survivors, when holding a job, didn’t perform much worse than other workers,” says Gunnes. Childhood cancer survivors in Norway at the moment receive medical follow-up for approximately ten years after the end of treatment. When the patients are around 18 years old, there is no organized follow-up. They visit their GPs, who naturally have limited experience in the follow-up of such patients due to the rarity of childhood cancer, and the national health service has no knowledge of what happens to them. “Other countries like the Nederlands, Portugal and USA have late-effect follow-up clinics, where the survivors can visit and meet a competent interdisciplinary team. In Norway, the survivors disappear to GPs who naturally have very little experience with this type of patients,” says Maria Winther Gunnes. Web Source: University of Bergen.